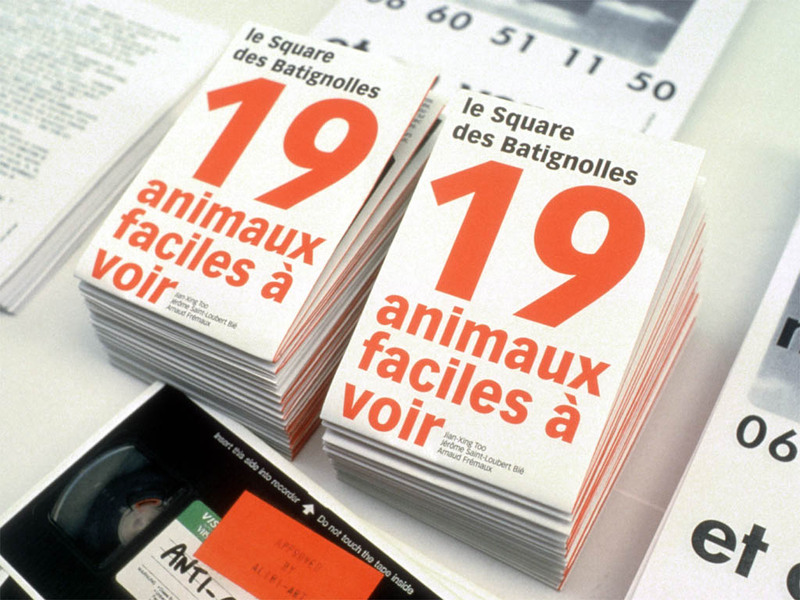 19 signs, Plexiglas mounted on cellular concrete supports; pamphlet, offset, edition of 500. Collaboration with Jian-Xing Too and Arnaud Frémaux. 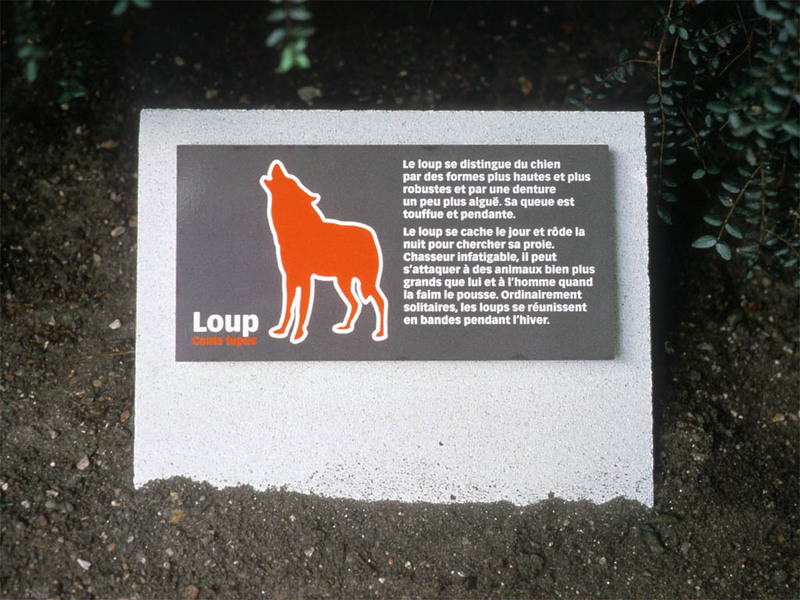 Like in a national park, signs with pictograms of animals and basic information about their characteristics and habits were placed throughout the urban park, in sites that could vaguely correspond to their natural habitat. 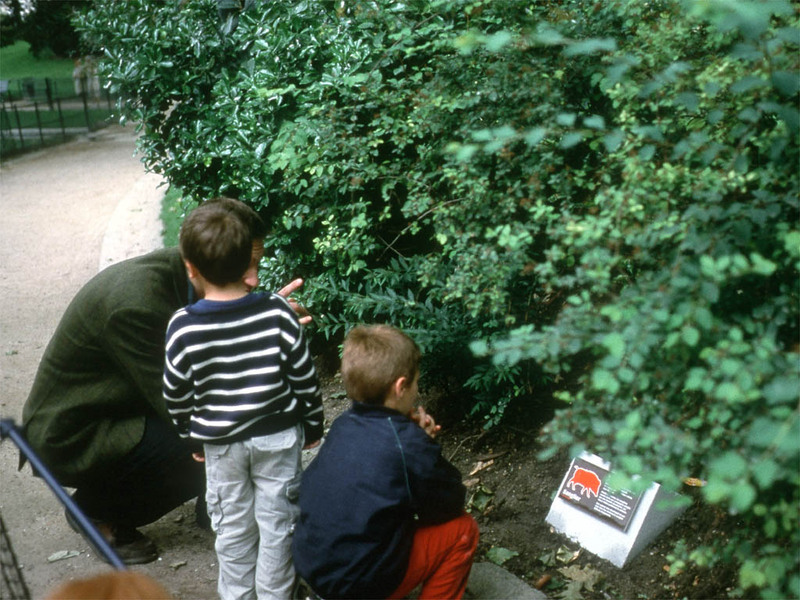 Some of the animals, such as ducks actually were in the park, while others, such as wild boars obviously were not. 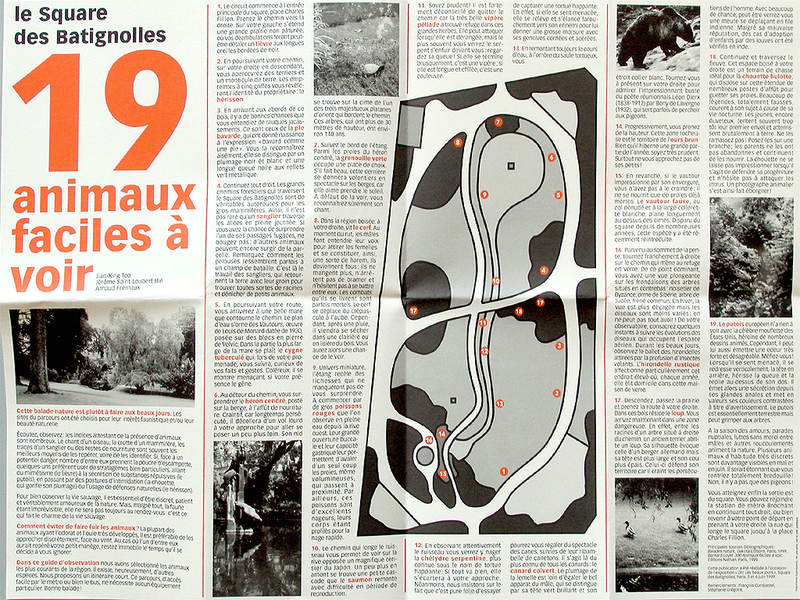 A guided tour in the form of a pamphlet was freely available to visitors.